Many men still shy away from bags, because they consider this a women’s item. However, equally as many are those, who see the value in men’s bags and add this item to their wardrobe. In this post, we will discuss the current trends in men’s designer bags. A popular choice of men’s designer bags is the briefcase. This handbag is especially useful for organizing files, papers and books. 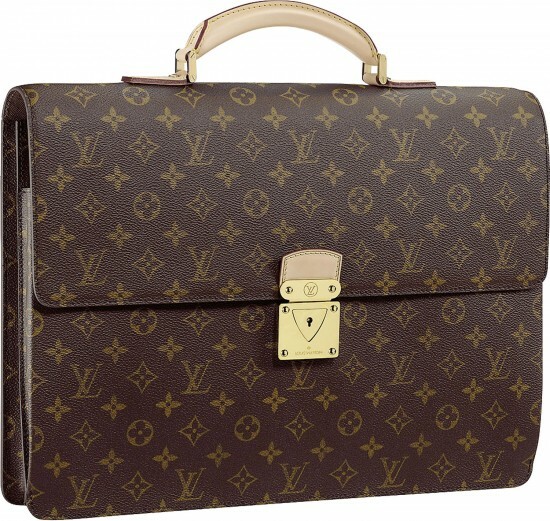 If you’re looking for designer bags to match your formal or work outfits, then you should go for a briefcase. Modern briefcases have more contemporary look than the traditional briefcase from the past and include more compartments to help you keep everything organized. This adds more functionality to the briefcase. Another popular choice for men’s designer bags is the messenger bag. This is an oversize satchel worn across the shoulder. The shoulder strap can be fastened to stabilize the bag on your shoulder. This type of handbag is usually chosen by college student or cyclists, because it makes it easier to carry various items. However, modern men often choose messenger designer bags for style. This is a great item to add to your wardrobe. There are many different designs, which can be matched with your work outfits or casual clothing. Among the trendiest designer bags for men is the tote. This looks like a modernized and softened version of the briefcase or a slimmer, rectangular version of the holdall. This handbag can be worn on one shoulder or carried in hand. These handbags are more suitable for casual outfits. A lot of totes have various compartments inside, so that you can organize your things. If you’re a student and need to carry your books, notebooks and various other supplies, choose a tote. Now is the right moment to forget the idea that bags are only for women. There are many trendy designer bags available, which will make a great addition to your wardrobe. Handbags are really becoming popular accessories for the modern man.